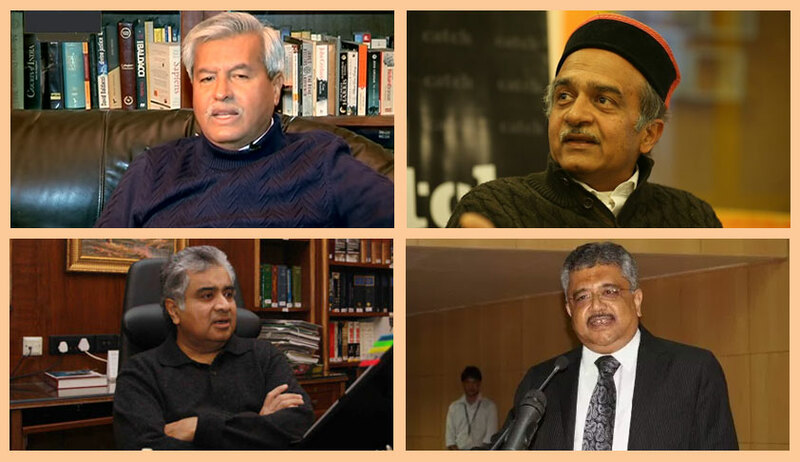 During the Monday hearing of judge BH Loya’s death case, the Chief Justice’s Court saw unusual heated exchanges between top senior lawyers in the country Harish Salve and Dushyant Dave, Mukul Rohatagi and Indira Jaising. Harish Salve (for Maharashtra): I have given the entire set of papers to the other side. When an article appeared in a news magazine, a discreet inquiry was conducted since it related to a judicial officer. We spoke to four judicial officers who said there was no foul play … the judges recorded statements saying Loya died of a “massive heart attack”. Inquiry report was submitted to the Bombay High Court Chief Justice too (reads extensively from documents to make their stand clear that there is no foul play). Dushyant Dave: I wish to be an intervener as I appear for the Bombay Lawyers Association in Bombay High Court. Whatever the government report says, there is evidence to the contrary. If this was the case, why was not the judge’s family kept in the loop, not invited to the hospital where postmortem took place ... there are three morning flights from Mumbai to Nagpur ... Look ,nobody has personal interest, but please investigate. Mr. Salve has appeared for Amit Shah in the Sohrabuddin case. He is now appearing for Maharashtra. This is a serious conflict of interest. The only one who wants the probe stalled is his man. I am repeating ... this is serious conflict of interest. He cannot appear for Maharashtra government. Salve: Some people are trying to use the death of a judge. He has already caused enough damage. Dave: Salve, you have done enough damage to this institution. Your Lordships should not permit Salve to assist the court in this matter. Salve: Such remarks should never have been made in this court. Dave: Don’t give me lectures on morality. Salve: It is you who does that, I don’t need your certificate. Do you think I need? “Please do not cast aspersions or comment on such things. We all are the holders of our own conscience. It is for the advocates to decide whether or not they should appear in any matter”. Mukul Rohatgi (repeats most part of the report on death) then says: Dave has no locus to address the court. He is not a party. Now the Supreme Court is seized of the matter. Why should you now hear the Bombay Lawyers Association, who are petitioners in Bombay High Court and not here. Dave: Father, uncle and sister of the deceased judge want probe. The son too wanted initially but has now retracted under severe pressure. Justice DY Chandrachud: Look, no doubt, this is a serious issue. Let us look at the matter with a sense of objectivity. Salve: We have spoken with people at the highest level while preparing the report. Dave: Yes the highest level. It is Amit Shah. If it is heart attack, why are they objecting to investigation? Salve: What is this Amit Shah, Amit Shah? You cannot cast aspersions in the highest court on persons who are not here. You cannot jump three steps and pass comments just because Amit Shah is a prominent politician. Rohatgi (to Dave): What are you trying to say? Four independent judges have spoken to the police. Their statements too are there, which conclusively says the judge died of a massive cardiac arrest. Justice DY Chandrachud (to Dave): Look, now we have a record in front of us. We will also see other records you say you have obtained through the RTI so that we have a consistent statement on what happened exactly. Salve: I trust my colleague on opposite side. We can give all the documents they ask for in a sealed cover. But they have to keep it confidential. A sensitive matter. Dave: We will also give in sealed cover. Justice Chandrachud: Mr. Dave, you instruct the counsel for the Maharashtra to supply the documents. While the matters were about to conclude, Salve sought an order from the court to restrict the media reporting the case. That raised the heat to another level. Indira Jaising (supporting Dave and also a separate intervener): This amounts to gag order on the press. Publication and discussion on it should be allowed. Salve: These are sensitive issues and I don’t want media discussing the statement of judges. Dave: The matters of Tharoor and Chidambaram are discussed widely in media. Justice Khanwilkar: Sub-judice matter? How can you discuss sub-judice matters in the media? Dave: We will discuss. You Lordships cannot stop the nation from discussing ... how is it even possible ... even if the matter is sub-judice we will discuss. Jaising: I will oppose if a gag order is being issued. Two days ago in Padmaavat matter, your Lordship stayed the screening by states citing freedom of speech and expression. The statement of Indira Jaisingh made CJI Dipak Misra angry. CJI Dipak Misra (to Jaising): I have not uttered a word. Have I ordered a gag order? We are only discussing, you are drawing conclusions! This is not done. Apologise … at least say sorry. An unconditional apology and you have to withdraw your remark. Jaising : I am withdrawing my remark. My apologies. Sorry. Dave: Even trial of Sohrabuddin is in camera. All this is being done to protect one man only - Amit Shah. Yes ... as of today it is a natural death. But there is a requirement to look into circumstances of the death. Justice Chandrachud: Yes we have said we will do it … But do not cast aspersions on persons. So far, as you said, it is a natural death. Pallav Sisodia, senior counsel, who also appeared in a PIL seeking probe into judge Loya’s death also opposed and challenged Dave to bring some materials to prove the allegations. “Mr. Dave is the self-appointed conscience keeper for everyone but unfortunately everyone rejects the advice he gives with the contempt it deserves , Bar has recently judged him"